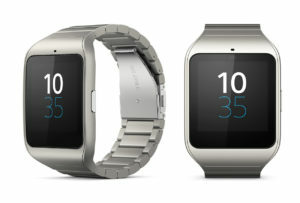 The smart watch 3, is the latest wearable from Sony. It combines a lot of sports features, and smart watch features in one device. The design of the Smart Watch 3 has more of a fitness look, and feel to it, so it’s being aimed more at an active audience. The wrist straps are made out of silicone, and there’s an adjustable metal clasp making it very easy, and quick to put on the metal clasp is an ice touch, and the silicone band feels very soft and comfortable on the wrist. And what you may already know, that all products made out of silicone are dust magnet, and this is not an exception from that rule, but don’t worry because the band can be pulled out and changed easily. The Smart Watch 3 features a rating of ip68, so it’s resistant to water and dust just like any other Android wear watch. but unlike other Android wear watches, this is the first one we’ve seen so far that doesn’t feature a heart-rate monitor, which is a very odd omission as far, as the size goes. by completing this Sony smartwatch 3 review, you’ll end up knowing why this watch is a must have in you closet if you’re fitness or a Sony products user. I don’t think it’s all that big, it’s very similar in size to something like the Moto 360, but obviously size is a very subjective thing. so depending on the size of watches that you currently wear right now, that is going to influence whether the Smart Watch 3 is a big, or a small watch. the display only Sony Smart Watch 3 if you couldn’t already tell is a square and it’s a 1.6 inch trench. the SmartWatch 3 features a 1.2 gigahertz quad-core processor and 512 megabytes of RAM which is really more than enough power for what our smartwatches are capable of right now so there’s not much to say about these Smart-Watch 3 performance, except that it’s very fast and responsive. it runs Android wear about as well as any other wear watch, so you’re not going to encounter any lag stutters, or drop frames leaving you with a very smooth, and enjoyable experience with the latest Android wear update. Google brought GPS functionality and offline music storage, and the Smart Watch 3 is the first Android wear watch that has the hardware to take advantage of both of these features, Sony built this watch for fitness, and what they built in GPS you can track you’re walking, or running independently of your phone. Meaning, you don’t have to keep stuck with your phone around with you in order for it to work, because everyone knows how much of a pain it is to have your phone with you when you’re working out. Sony has added a few watch faces but they’re all pretty bland looking and don’t feature any additional functionality, outside of telling the time with the 420 milliamp hour battery. The Smart Watch 3 has a larger capacity battery than most other Android wear smartwatches right now. So you would think the battery life, would be slightly better. But it’s really just average hours getting anywhere between two, to two and a half days’ worth of battery life. Depending on if I had always screen on, or off. But this is with rather normal usage, if you plan on using the GPS a lot for tracking your walking, or running, the battery drains extremely quick, And I was losing roughly 20% within an hour. So depending on how many hours you use the GPS a day, you may or may not even make it through a full day. the good thing about the Smart Watch 3, is that it doesn’t use a proprietary charger so there’s no wireless charger there’s no cradle and there’s no dock. it’s just good old micro USB, the one that Sony provides is kind of short, so you’ll most likely want to use a different one. it’s not the most elegant, or nicest way of charging a Smart Watch, and plugging in the micro USB cable into the back of the watch is kind of a chore. Another good thing is you can charge this watch a lot easier, because micro USB cables are a dime a dozen, and in everywhere. one of my favorite features is, the LCD display with 320 by 320 resolution, putting it on par with the competition but the quality of the display doesn’t quite stack up. it’s bright and has great viewing angles, but colors look washed out and there’s a yellowish tint to the display it’s mostly noticeable when you’re looking at anything with a white background. considering that Android wear has a lot of white elements you’re pretty much going to notice it right away the bezels on the display are also pretty thick but that’s to be expected right now with any Smart Watch featuring a square screen. to look at it’s sharp, its vibrant and it is clearly visible, even under direct sunlight. even though, it is mostly made of plastic, the build quality is excellent and it feels very comfortable on the wrist. the SmartWatch 3 features a 1.2 gigahertz quad-core processor, and 512megabytes of RAM, which is really more than enough power for what our smartwatches are capable of right now. to make it a better tracker for your workout, and a good supplement for your smart phone. one of the most important features, is the 50M water resistant. meaning that you can use this tracker in up to 50 meters of water, just like the gear sports SmartWatch. also you can use it in a salty sea water, which is a feature that a lot of fitness bands lack. just like the new gear sparked the Fit2 Pro, can track your exercise routines including swimming. it can even continuously, monitor your heart rate under water. all of this is done using Samsung’s S-health, or speedo app. The SmartWatch 3 has built in Wi-Fi which allowing to interact with apps on your watch Get notifications, reply to messages, and much more, all on your wrist. without the need of picking up your phone. the first one is Endomondo which works together with android to make your smartwatch more standalone, and help you Get the most out of your runs, walks, rides, and more with our top rated fitness tracker and personal training app. With Endomondo, you can track all of your workouts using GPS, check your stats, and reach your fitness goals. If you’re a Golfer SONY phone user, the GolfshotAPP should be your convenient way to Step up your golf game with real-time info about the green—right on your wrist. Golfshot uses the standalone GPS in your SmartWatch 3 to give you accurate target distances, hole hazards, and shot tracking. and if you are a kind of fitness SONY phone user, the iFitAPP will track your planned run via GPS. Or choose the random route generator and see where your watch leads you. Your whole workout is saved on your SmartWatch 3 and can be easily synced to your phone once you’re home. now, one of the key features is 4 gbytes of internal storage. means, that you can upload music to your SMART WATCH, and take it on the move with you, without the need for a phone. stream music to a pair of Bluetooth headphones. the sound quality is great, and don’t worry about any Bluetooth connectivity issues. with the latest Android wear update Google brought GPS functionality, and offline music storage, and the SmartWatch 3 was the first Android wear watch that has the hardware to take advantage of both of these features. and since watches don’t have 3.5 millimeter headset jacks, you’ll need a Bluetooth headset to listen to them. essentially if you don’t have a play music subscription, or a Bluetooth headset you won’t be able to take advantage of this feature, but if you meet both of these requirements then you are good to go. 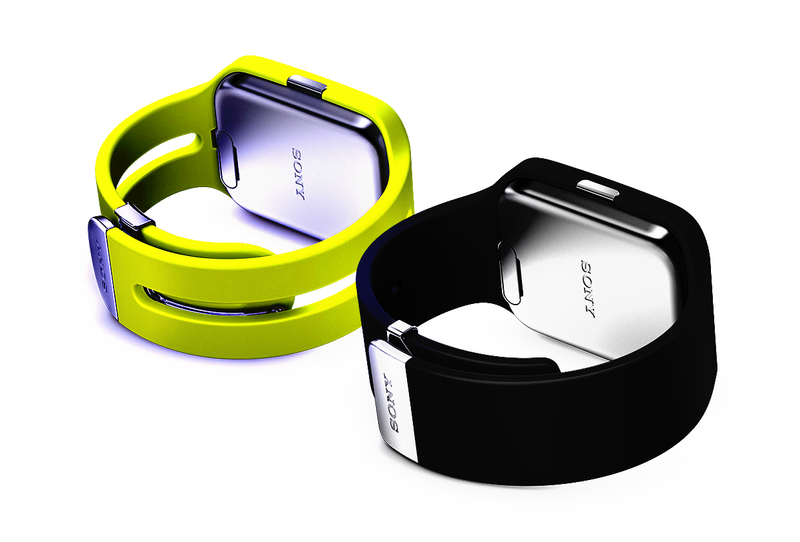 finally the Sony has made everything to make this watch the best for fitness people. 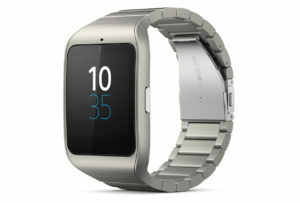 if you’re looking for the best fitness centric Android wear watch, the Sony SmartWatch 3 is the one to get.